the official website of North Central Railways. The aspiring applicants for the ITI Apprentices have to send their application form on or before 30-12-2018. Apprenticeship training will be available in the trade of Fitter. The candidates for ITI Allahabad Division Apprentices of NCR will be selected by way of written examination and interview. 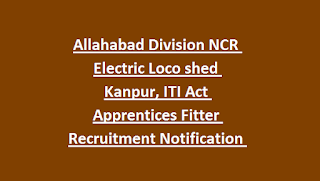 However, selection for vacancies in NCR Electric Loco Shed Kanpur will take reservation in to account. For more details and more information regarding educational qualification, pay scale, age criteria, selection procedure and applying process about the jobs of NCR ITI Allahabad Division Apprentice go through the below given information. The candidates who are interested in Fitter ITI Apprentices can apply offline on or before 30-12-2018. Tech carpenter (Mech.C & W) – 11. Tech fitter (Mech.C&W) – 335. Tech welder (Gas&elect) (Mech.C&W) -13. Tech armature winder – 47. Tech carpenter (Elect/ R.S/ TMS) -05. Tech welder (Gas&Elect) (Elect/R.S/TMS) – 09. The applied candidates for the Fitter Allahabad Division ITI Apprenticeship has to attend the written examination which will be conducted by the NCR Board. According to the merit in that examination and merit in academic education candidates will be called for interview. 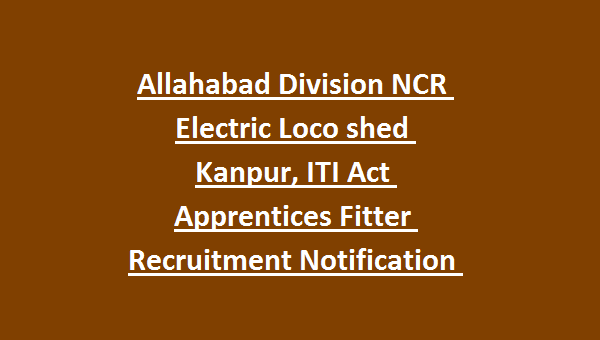 The interested and eligible candidates can apply for the Allahabad Division ITI Fitter Apprentices by downloading the application form from the official website of NCR. Fill the application form with the required details and attach the photocopies of essential testimonials and send the print out of the application to the following address: Office of Sr. Divisional Personnel Officer, Allahabad. For further information and more details about NCR Fitter ITI Apprentices Recruitment view the official notification.